Christopher Joy and Zachary Keeting visit the studio of painter Laini Nemett. 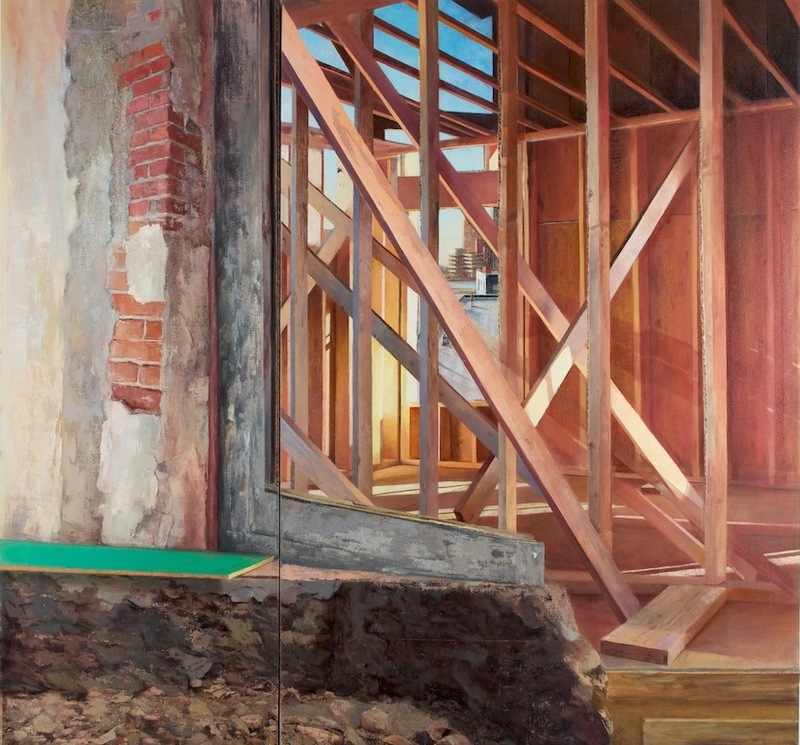 Asked about combining disparate views in a single painting, Nemett comments that she wants the composite imagery to "conjure memory" but also to emulate experience of place. "We constantly have all these images and all these places that are shooting through our minds" she remarks, "how we order them in our individual minds are not so linear, they... come to the foreground more or less depending on where you are at that moment or what you're thinking."